There are a few CSS preprocessors out there, and you'll find fans of each. 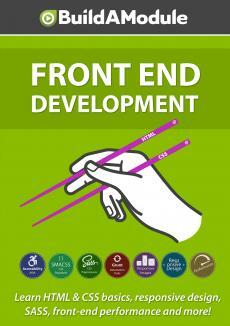 However, in the Drupal world, most front-end developers use SASS. SASS has been powerful for a long time, is relatively easy to pick up, and it has a lot in common with the other CSS preprocessors. Here we discuss a bit more about why we're focusing on SASS. Now there are several CSS preprocessors out there. In the Drupal world a lot of people start with Less - L E S S. And for a good reason: there's a Less Drupal module that allows you to take Less code and convert it to CSS on the fly, which means you don't need any specific software to use it, you can use it right in Drupal. However to use some of the more powerful tools available in Less you'll still need to install it on your computer. Less is pretty powerful and it's come a long way in the last several years. Most digital agencies however have standardized on SASS.